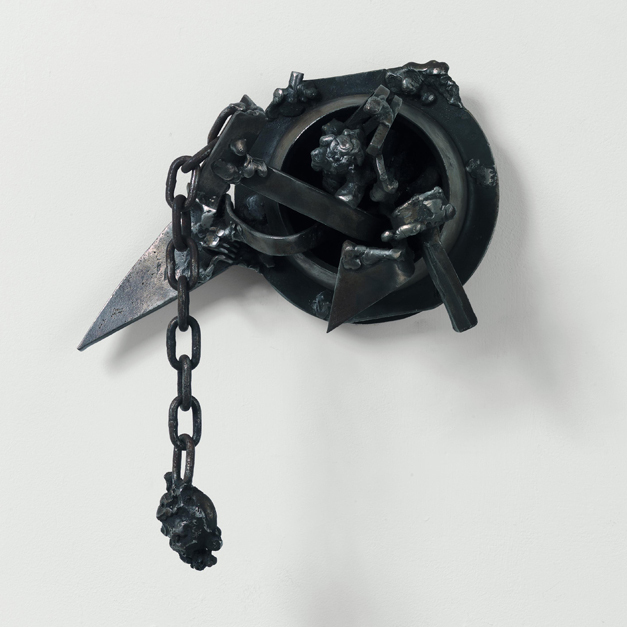 Melvin Edwards is an American sculptor who works primarily in welded steel. Best known for his Lynch Fragments, an ongoing series of small-scale reliefs born out of the social and political turmoil of the civil rights movement, Edwards is also the first African American sculptor to have had a solo exhibition at the Whitney Museum of American Art in New York in 1970. Edwards has had a long career as a public sculptor, with works in Senegal, Japan, Cuba, and throughout the United States, including a monumental work in Columbus, Ohio called “Out of the Struggles of the Past to a Brilliant Future (1982),” which is located in Mount Vernon Plaza off Atcheson Street. This exhibition is organized by the Nasher Sculpture Center, Dallas, Texas, and its Associate Curator, Catherine Craft. The exhibition is made possible by the Henry Luce Foundation. Additional major support is provided by the National Endowment for the Arts. Media Sponsor Ohio Magazine. Support provided by Greater Columbus Arts Council, Nationwide Foundation, Ohio Arts Council, and the Charlotte R. Haller, Lewis K. Osbourne, and Robert B. Hurst funds of the Columbus Foundation.